My life has been the definition of “train wreck” lately. Nothing devastating or life-changing – no worries. Just a constant onslaught of sicknesses and injuries and roadblocks and traumatic doctor visits. The upside is, they often make good blog posts. Y’all have read about some of them, but I haven’t written about a lot of things because I have a rule for myself – never write about something until you’re on the other side of it – otherwise, it comes out whiny. And nobody likes to read whiny. Anyway. 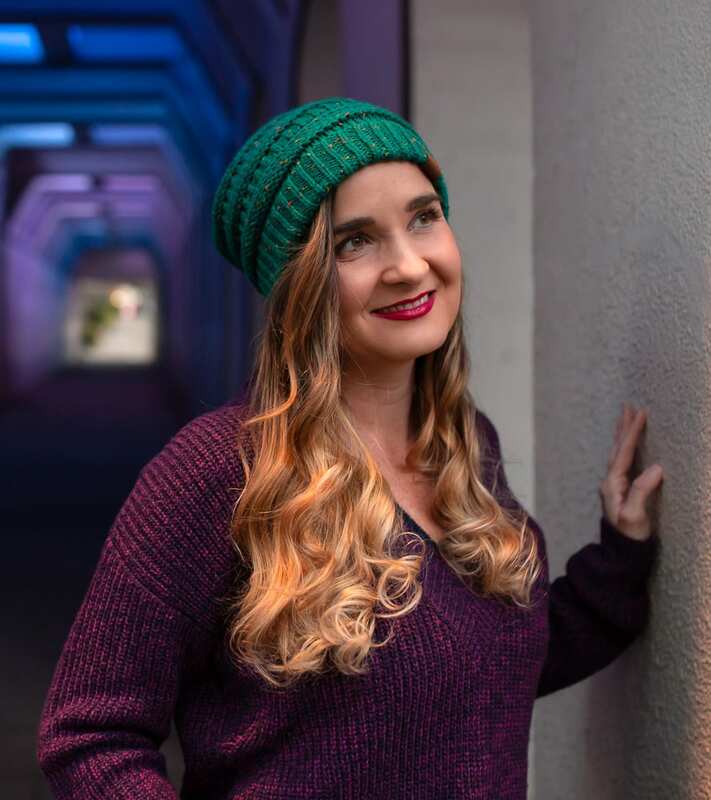 One very special blog reader, Melissa, from Prosser Washington, picked up on the undertones of my rather unpleasant start to 2015. And she commented after this post that she was going to send me some chocolates, thereby solidifying her spot as my Best Friend Forever [That I Probably Won’t Ever Get to Meet]. Because by chocolates, I knew she meant Chukar Cherries. I knew this because she had sent them to me once before. AND THEY CHANGED MY LIFE. They’re made in her hometown, and they’re basically the most luxurious chocolate-covered dried fruits and nuts ever concocted. All the combinations are divine, and the flavors they put together are the essence of chocolate fantasies. 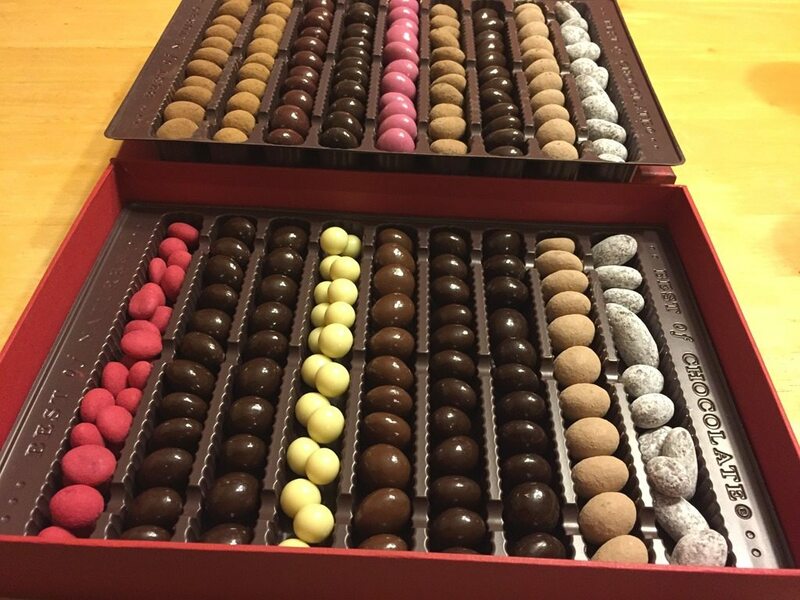 The last box she sent me contained eighteen different varieties of heaven dipped in chocolate. After receiving them last time, I also started getting the catalogs. And with each one, I nearly ordered myself another box (to hide from the children and eat embarrassingly fast), but always somehow intervened before I delved into what was sure to become a serious addiction problem. So when the Melissa mentioned a box of chocolates, I was pretty intensely elated. The hope of those chocolates carried me through finishing my Kid’s Market preparation. They carried me through recovering from a sinus infection. They carried me through the mothering of sick children, blowing their noses on my pants, wiping their boogers down into my shirt, and hacking all night long. They carried me through falling while running and injuring, bruising, or scraping every joint on my body, and the resulting physical therapy. I knew that Washington is a long way away and it would probably take a good bit for them to arrive, but the hope of chocolate covered cherries and berries and pecans and hazelnuts in eighteen different varieties carried me through. Until I got an email from UPS, telling me that they needed to let me know that a package headed to me from Chukar Cherries had a slight problem. MY CHOCOLATE WAS IN A TRAIN WRECK. I read that email three times, and then contracted an unstoppable case of the giggles. If there was anything more fitting for my life at that juncture, I could not possibly imagine it. The chocolate I was receiving because my life was a train wreck got caught up in an actual train wreck and I’m pretty sure the space-time continuum folded in on itself. I started checking the UPS status of my cherries, waiting to see when they would resurface, imagining a UPS worker walking along the side of a train track, plucking chocolate covered cherries out of the grass and placing them, carefully sorted, back in my trays. Every morning, I checked. Every morning, nothing had changed. Every morning, I assumed my chocolates had been eaten by the roadside chickens and cows before they could be collected and repackaged. The above email came on March 3. 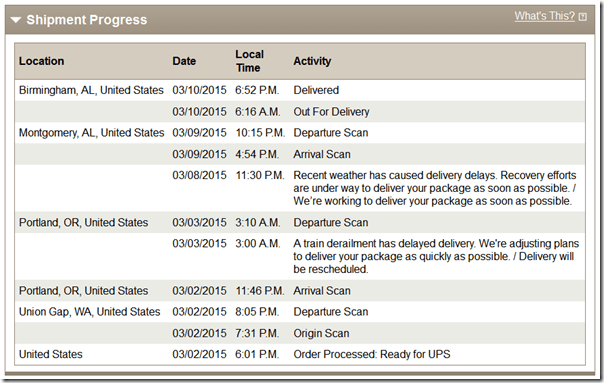 The shipping status of my package did not update again until I received this email on March 9. My poor cherries, after having been spilled onto a rickety train trestle spanning a crocodile-filled ravine, were now encapsulated by a snowstorm, shivering their fragile chocolate coating off. Or perhaps, they were stuck in a Sharknado – after all, it didn’t specify the weather type. Until somehow, they weren’t. 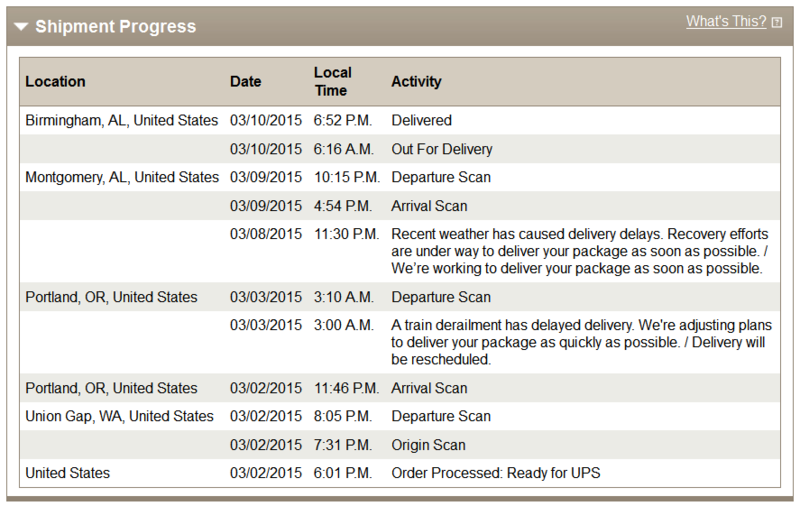 UPS fought train and snow and sharks flying through the air and my chocolate dropping off the grid for over five days, and still managed to deliver those precious, life-giving chocolates – just one day after they were originally due. When the box arrived, my warm tingly heart burst within me. I wish I’d gotten a better picture of that big red sticker – it said “Perishable Goods – Open Immediately.” But I didn’t have time for good photography – I had a package to open. I had chocolate-covered cherries to rescue. They had been through a lot, after all. Oh, the bliss of discovering that Melissa, Fairy Godmother of the Blog Realm, had indeed sent me that giant box of utopia again – along with a couple of other precious, blissful, renewing treats. The endless array of beautifully coated goodness made up for all of the train wrecks – both figurative and literal. And that box of cherries took over where the hope of cherries left off. They carried me through running a half marathon perfectly fine, and then reinjuring myself the next day during my “recovery run”. They carried me through not being able to walk for two days, then finding out that I would have to go to Physical Therapy 2-3 times a week for 6 weeks. They carried me through multiple technological breakdowns – including those blogged and those only shared in Facebook comments. And they’re still carrying me through. And doing a darn good job of it. So from now on, when my life starts spinning off-balance like a washing machine whose drum came loose and is shaking the house down with its ear-shattering rhythm, I shall not waver at the thought of ordering myself some chocolate covered cherries – because mothers are best fueled by good chocolate. And Chukar Cherries most definitely balance everything out. Next Post Stuff Finds Me. Previous Post Because Printing Is Hard. Aww, you’re too sweet! And yes, they are absolutely heavenly. 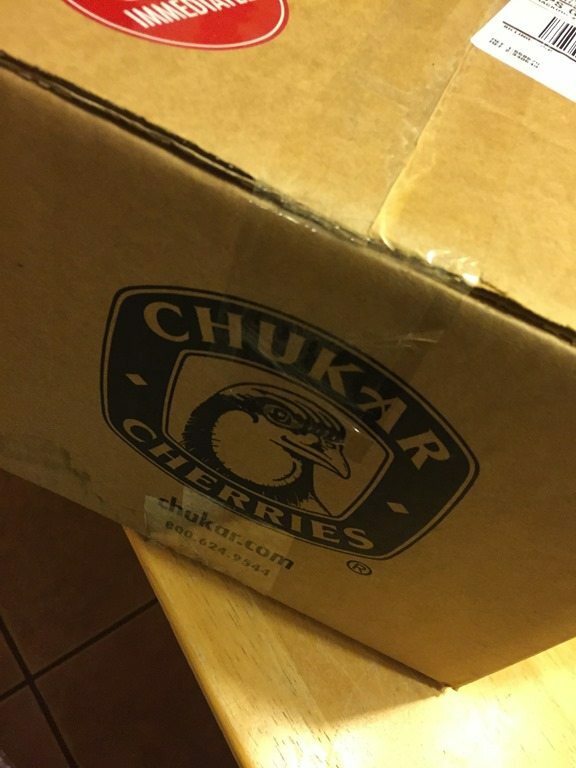 You should send this post over to Chukar Cherries. For this free advertising, they should set you up with a subscription for one box/month! Mmmm…there’s not much I wouldn’t do for one box a month. I’d be afraid of the “before” and “after” pictures of me after 12 months of Chukar. Then again, it’s just fruit and antioxidants, right? My 2015 has not been off to the best start either (two snowstorms/outpatient surgery/appliance suicide pact/had to put beloved dog to sleep), which makes me wonder–is it just us, or has this winter been rough for everyone? I will be overjoyed to see spring come and hopefully ward off some of this bad mojo. ALL of my friends have had crappy starts to 2015. 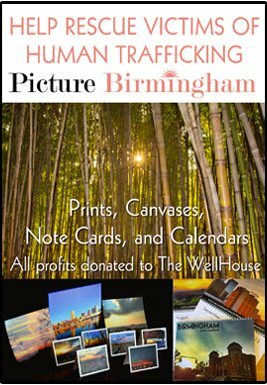 I thought maybe it was centralized to Birmingham. I’m sorry to hear yours has been bad also! Your welcome? … Doesn’t seem to quite do it justice. So, ah, cherish your chocolates, my child. They come from a lush oasis surrounded by desert. I pleases my heart greatly to hear you are comforted by my gift. I confess that my solicitude for you and your family’s health may stem from a selfish root (i.e. I like your blog), but I find it satisfying that those beautiful chocolates have helped ease your suffering. Bibbity, bobbety, boo. Ouch! What happened in your running injury? I’m so sorry to hear about it. It sounds pretty serious. And, I’m guessing you can’t run right now, which is not fun at all. I fell once while running down a steep hill. I was okay, but scraped up and shocked by the whole ordeal. I was running by myself and still had to run home afterwards. I sure hope that you can heal quickly and get back to feeling better soon. Congrats on the half marathon. That’s quite an accomplishment. You deserve all the cherry yumminess . I went to my fantastic physical therapist about that, and he got me back to running within days. It was great! I ran my half marathon with no problems, but then during our recovery run the next day, completely randomly with no precluding event, my ankle started hurting in one of those this-is-not-good ways. I walked back, but then it kept getting worse, to the point where I couldn’t walk without excruciating pain. I went to my PT and he did all his magic, but it didn’t help at all. Two days later I went to an Orthopedic specialist, and she x-rayed and felt and stuff, and told me which ligament I’d injured. Luckily, the night before my Ortho visit, I had learned that I actually could walk with zero pain – if I was wearing wedge heels. So that at least gave me a way to get around. The Orthopedic doctor also gave me (okay not gave me – sold me for a deductible-meeting price) a fancy brace and told me I could run if I was careful. I’ve run very slowly and short distances a few times since (that was last Wednesday), but it’s still pretty painful sometimes. But at least I can get around, and I can run some. I explained to the doctor why I needed to run (to treat my dysautonomia) and she was very understanding. So…I’ll live. It’ll just be a little painful for a bit. 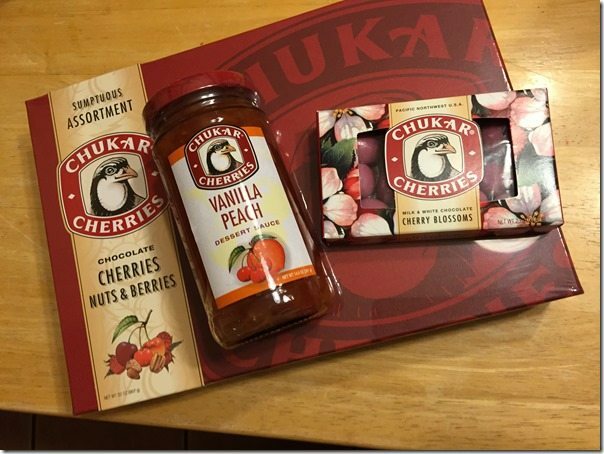 I have never even heard of Chukar cherries! Or maybe I have but wasn’t paying attention because I don’t like chocolate covered cherries. I could definitely get on board with any type of chocolate covered nut though! Yum! They sell all sorts of different combinations and individual bags! You should definitely try some. The chances of yours getting in a train derailment are drastically reduced due to distance! These Chukar Cherries ARE the best things ever. EVER. May your year get better and better. Happy St. Patrick’s Day! Dang it!!! After reading this blog, I got on line and ordered some Chuker Cherries! I ‘ll have to let you know what I think. ( And , dang it again….either your writing is FANTASTIC, or I am highly suggestable. ( YES AND YSE !!) Next time you write about something to eat, please make it more affordable.and accessible. Dang it!!! After reading this blog, I got on line and ordered some Chuker Cherries! I ‘ll have to let you know what I think. ( And , dang it again….either your writing is FANTASTIC, or I am highly suggestable. ( YES AND YSE !!) Next time you write about something to eat, please make it more affordable.and accessible. Cause I am ALWAYS HUNGRY . And I am sure to want WHATEVER IT IS THAT YOU HAVE !!!!!!!! Okay, let’s go back to the TRAIN DERAILMENT! What?! Where??? Also, we’ve had a bumpy start to 2015 as well! (maybe all the states that begin with the letter “A” are in cahoots!) Hope you heal quickly! You never seem whiny to me – love your posts!